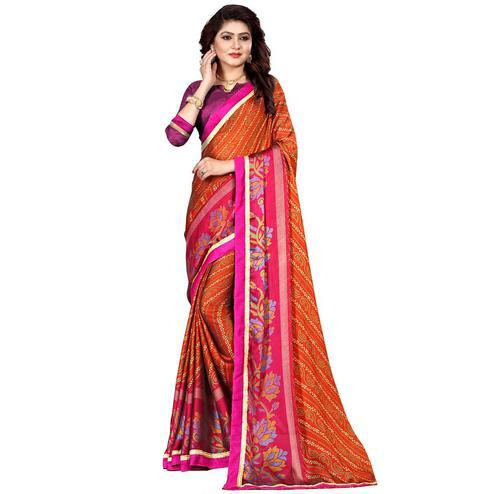 Enchant the style mantra in this pastel pink colored festive wear cotton silk saree. 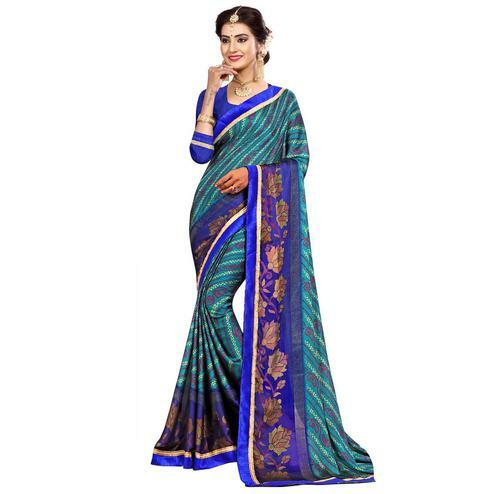 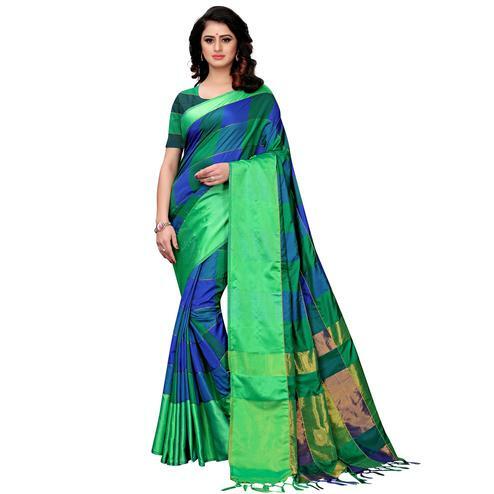 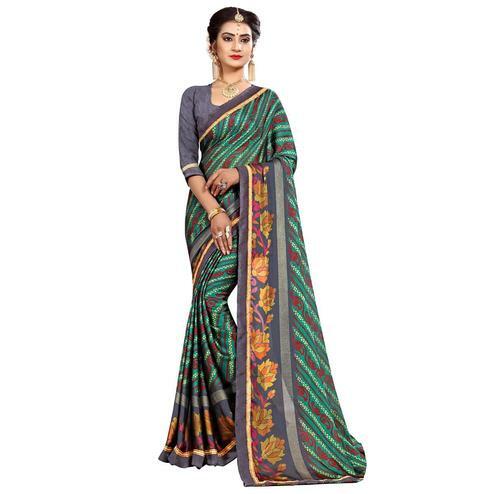 The saree is made of cotton silk fabric and has a matching un-stitched cotton silk blouse. 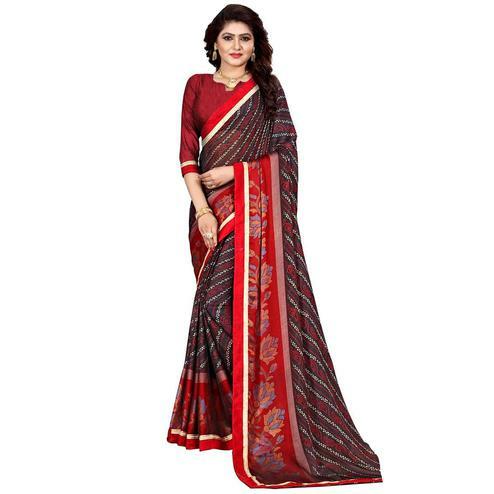 The detailing of the purple multi-colored stripes make it look so festive and ethnic. 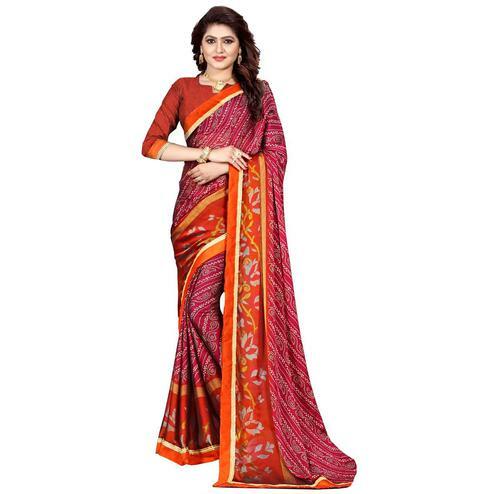 The pretty radiant magenta color of the saree is so appealing to the eyes. 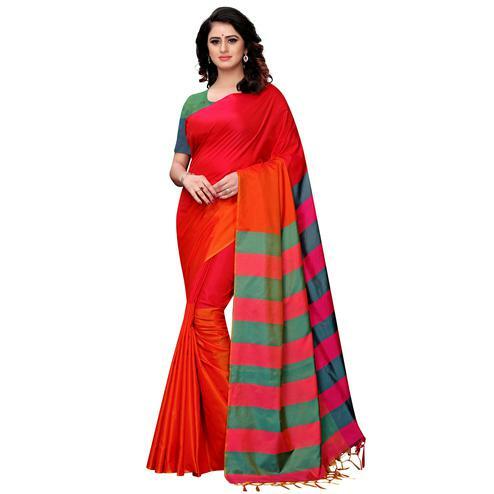 Its perfect for ladies who love light weighted festive wear. 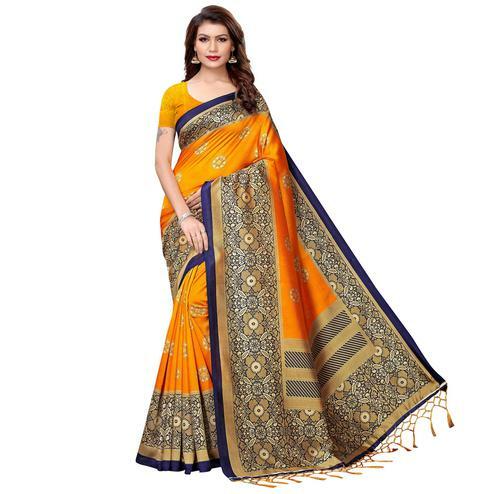 You can wear this at festivals,pooja's,family functions,occasions.Pair this with beautiful ethnic jewellery and bag and you will look perfect.